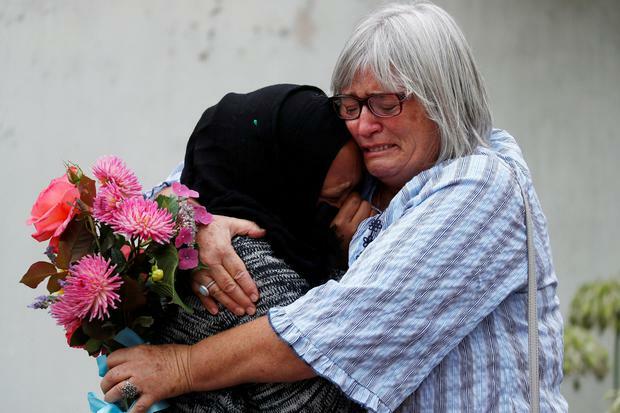 The terrorist behind a massacre at two mosques in New Zealand was acting alone, police said yesterday, as it emerged the right-wing killer's manifesto had been sent to the prime minister minutes before the tragedy unfolded. Brenton Tarrant sent a rambling, racist manifesto to Jacinda Ardern, the New Zealand leader, in which he denied being linked to any organisations and said he was acting on his own. The document, which praised US President Donald Trump and Norwegian mass killer Anders Breivik, was emailed to Ms Ardern's office just 30 minutes before the attack began. However, a White House official said it was unfair to cast Tarrant as a supporter of Mr Trump based on one reference in the manifesto. Mick Mulvaney, the president's acting chief of staff, told 'Fox News Sunday' that Tarrant was a "disturbed individual" and an "evil person". Mr Mulvaney said any attempt to tie him to any American politician "probably ignores some of the deeper difficulties that this sort of activity exposes". 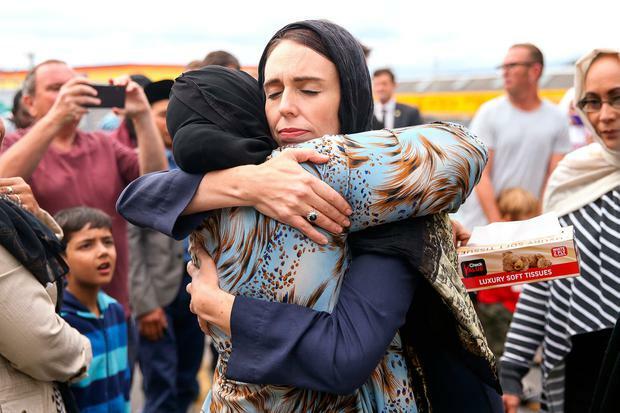 In Christchurch, a man whose wife was killed in the attack as she rushed back to a mosque to rescue him said he harbours no hatred toward the gunman, insisting forgiveness was the best path forward. "I would say to him I love him as a person," said Farid Ahmad, whose wife Husna Ahmad (44) was killed at the Al Noor mosque - the first of two targeted by the Australian gunman. "I could not accept what he did. What he did was a wrong thing," he added. Asked whether he forgave the white supremacist suspect, he said: "Of course. The best thing is forgiveness, generosity, loving and caring, positivity." Ms Ardern has vowed to overhaul the gun-control laws in response to the tragedy. "I can tell you one thing right now: our gun laws will change," the prime minister said in response to the attack, and went on to suggest a ban on semi-automatic rifles. Tarrant (28) had also broadcast the massacre live on social media, using a head-mounted camera, which sparked an outcry across the world as platforms such as Facebook were slow to take down the grisly footage which showed worshippers being sprayed with bullets, with some trying to crawl away as Tarrant moved through the Al Noor mosque. Traditional media outlets were also criticised for broadcasting lengthy segments of the 17-minute video clip. Yesterday, Ms Ardern said the bodies of those who died were beginning to be returned to their families that evening. It was expected that all would be returned by Wednesday, she said. In Dunedin, where Tarrant stayed and planned the massacre, hundreds attended a vigil outside Al Huda mosque yesterday afternoon. A local woman, Jackie Lawton (34), said she was "still just overwhelmed and so sad" thinking about the lives lost. The last time she had attended a vigil was in December, to honour the British backpacker Grace Millane. "When Grace Millane was murdered, the whole country mourned deeply, for weeks. We felt like we knew her, even though she'd been here for such a short time," she said. "This is 50 people, though - each one as loved and needed as Grace. This is Grace times 50 and I don't know if we can even process that." Flowers, candles and messages of solidarity had been placed in front of the mosque and a group sang hymns before performing a haka. Vigils have been held the length of the country over the weekend. James Tawhiti (41), from Christchurch, had driven down to Dunedin on Saturday "because it was too tense and sad and awful". "We've all already been through the earthquakes, that screwed a lot of people up," he said. "But this is somehow worse because it's a man-made tragedy. Natural disasters aren't evil like this and it just feels like we've lost something, maybe our innocence." Three students from Cashmere High School, in Christchurch, were at the Al Noor mosque for Friday prayers when the attacker burst in. Two of the students are presumed dead and the third is in hospital with gunshot wounds. The father of Sayyad Milne (14) told the 'New Zealand Herald' that his son was last seen lying bleeding on the floor of the mosque. "I've lost my little boy. He's just turned 14," he said. "I remember him as my baby who I nearly lost when he was born. Such a struggle he's had throughout all his life. "He's been unfairly treated but he's risen above that and he's very brave. A brave little soldier. It's so hard... to see him just gunned down by someone who didn't care about anyone or anything," Mr Milne said. "I know where he is. I know he's at peace." Outside the school yesterday, students came in a trickle to lean bouquets of flowers up against a construction barricade, evidence of the continuing rebuilding programme after Christchurch's 2011 earthquakes.